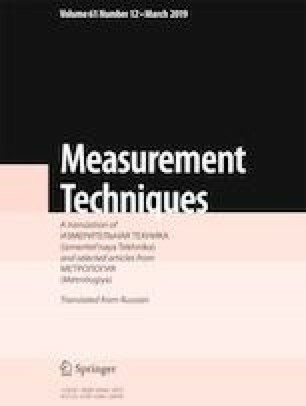 Two-signal and modified two-signal methods for measuring the S-parameters of transistors are examined, along with a method developed for adequate measurement based on these methods. The uncertainty of the last two methods is eliminated. The methods are implemented using a simulator-analyzer for the amplifiers and microwave self-oscillators in measurement channels of the simulator-analyzer that are matched and unmatched to the loads. The range of applicability and the interrelationship of these methods are studied and their advantages and disadvantages are pointed out. Translated from Metrologiya, No. 4, pp. 51–63, October–December, 2018.